Today has been such a crazy day for me, which means my meals were quite sporadic. I started my morning off with my usual coffee and water, and then had Orange Juice, Eggs, and Berry Waffles. We then went to the moves were I had a Coke Zero, Popcorn and Edamame, (our theater just started selling that, and it’s actually really nice to munch on whilst watching The Hunger Games!). When we got home it was kind of late so I just made a sandwich. 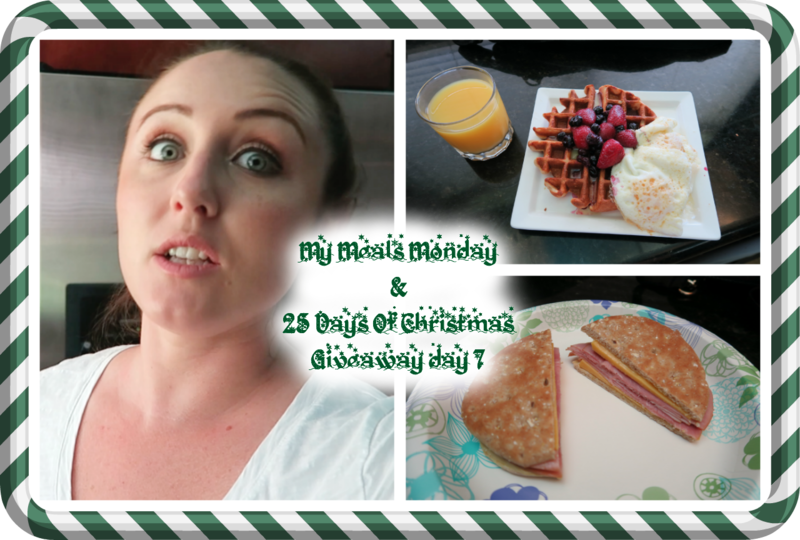 I told you, this was a sporadic food day for me, hopefully I can get a little more routine oriented next week, it has felt like I’m constantly playing catch up with the vlogs and the main channel videos, along with the 25 Days of Christmas Giveaway, but I’m hoping to hit my stride soon. Here is today’s Main Channel video with the 25 Days Of Christmas Giveaway, and here is Vlogmas Day 6!